NEW DELHI, India (27 March, 2017) — Nissan India today announced the launch of the New Terrano with the introduction of 22 brand new features to strengthen its smarter and bolder appeal to customers. 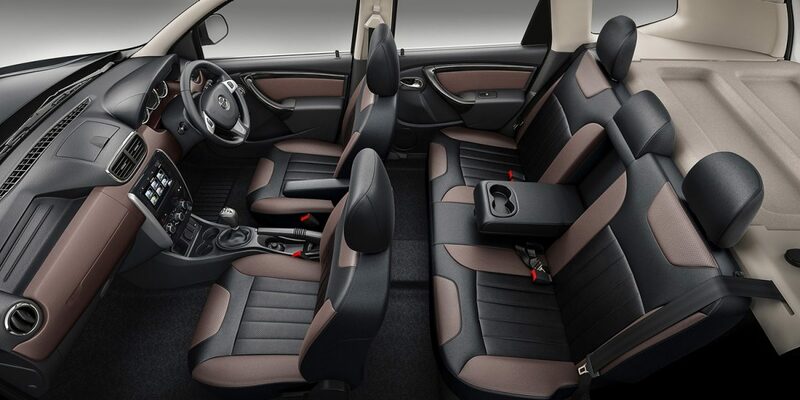 The New Terrano is equipped with a host of optional new equipment for added style and convenience. The result is a compact SUV that complements the lifestyle of today’s Indian consumers—an attractive choice for people expecting a smarter SUV with a bold road presence. The New Terrano’s starting price is Rs. 9.99 Lakh (ex-showroom, Delhi). The 22 new features include new Premium Dual Tone Interior, Cruise Control, 7.0 Touchscreen Navigation system, Steering Mounted Audio/Phone Control,, One Touch Lane Change Indicator, Anti-pinch Driver Side Window, and new Steering Wheel Design. Together, all the new features enhance the amenities for the driver and occupants, rendering a more pleasurable driving experience. 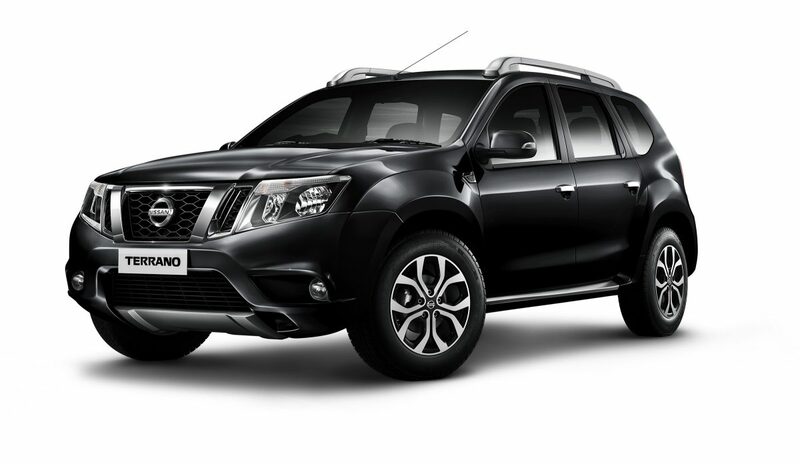 Designed with precision, the Terrano demonstrates refined engineering and muscular good looks. This goes hand-in-hand with its capable handling, enabling the driver to stylishly navigate any on-road situation. The New Terrano maintains the model’s high ground clearance of 205mm, low turning radius of 5.2 m, fuel efficiency of 19.87km/L and the 2-year/50,000 km warranty and free roadside assistance. The Nissan Terrano has been the company’s flagship SUV in India since 2013. 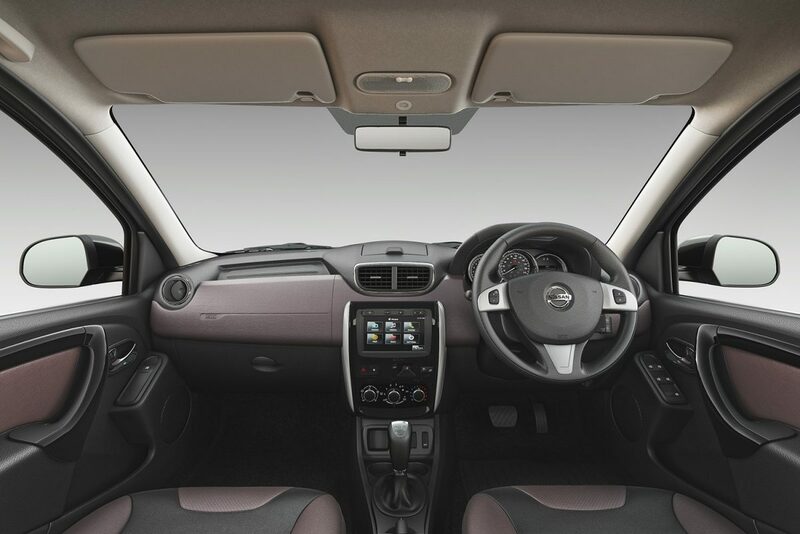 The array of features available on the New Nissan Terrano augment its convenience for occupants and accentuates its brawny road profile to set it apart from the other vehicles in its segment.